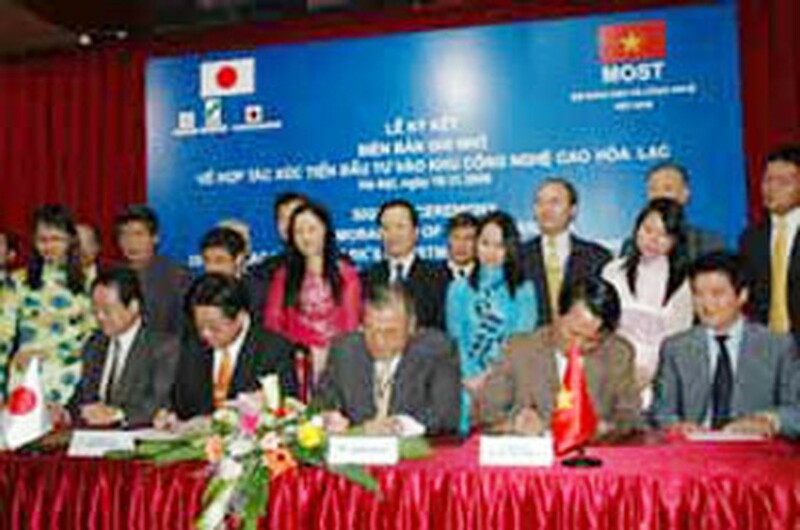 Representatives of the Mitsui Group sign cooperation agreement with Vietnamese partners in Ha Noi last month. The Ho Chi Minh City Department of Planning and Investment yesterday announced that the Japanese Mitsui Group has been granted an investment license allowing them to open a wholly foreign-owned company, the first of its kind in Viet Nam’s trading sector. The US$30-million trading company will carry out import-export business and goods distribution between Viet Nam and Japan. According to Mr. Ken Ozeki, chief representative of the Mitsui Corporation in Viet Nam, the company will promote the exportation of key Vietnamese products including fishery products, textiles, garments and plastic. The company is due to be set up in Ho Chi Minh City in early 2007 and become operational by April that year. The Mitsui group now has two representative offices, one in Ho Chi Minh City, the other in Ha Noi. The Japanese giant is expected to send additional employees to Viet Nam, bringing its staff in the country to 85. After the country becomes an official member of the WTO in January 2007, it is expected that there will be a big investment wave in the country’s trading sector from foreign investors.